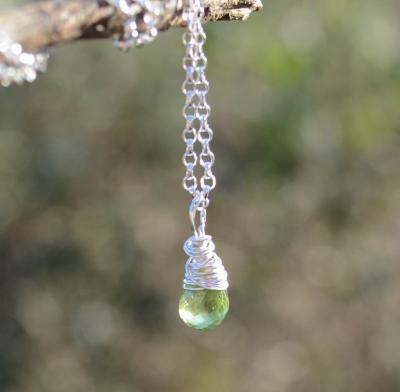 A 7mm briolette drop Peridot in sterling silver. "Peridot can be used to cleanse and stimulate the heart and solar plexus chakras, bringing openness and acceptance in matters of love and relationships…inspiring happiness within the self and delight in the nature of ones life. It provides for a shield of protection around the body. 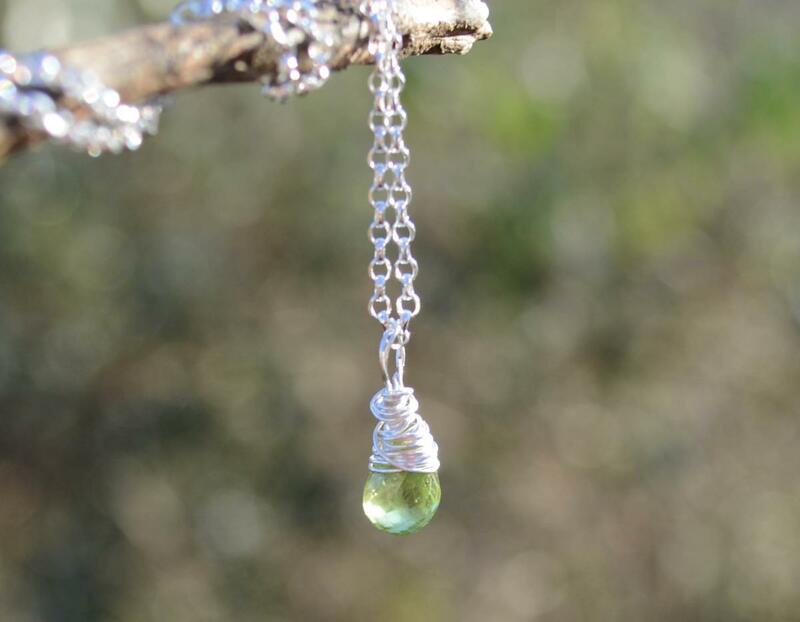 The wearing or carrying of peridot will prevent outside influences from affecting the aligned, balance and cleansed structure.” Melody, Love is in the Earth.